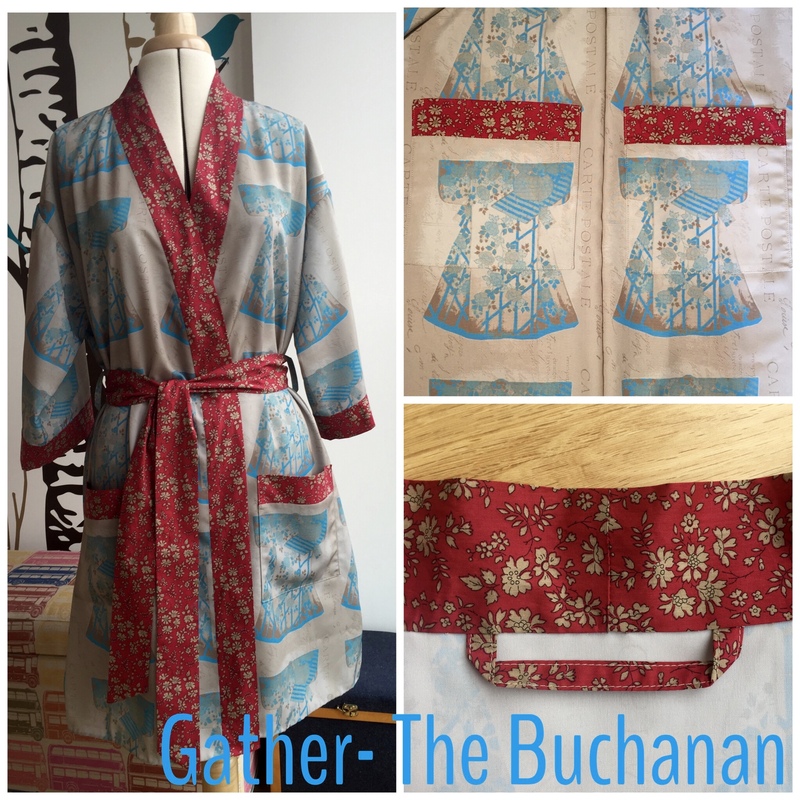 This is The Buchanan dressing gown from Gather patterns. 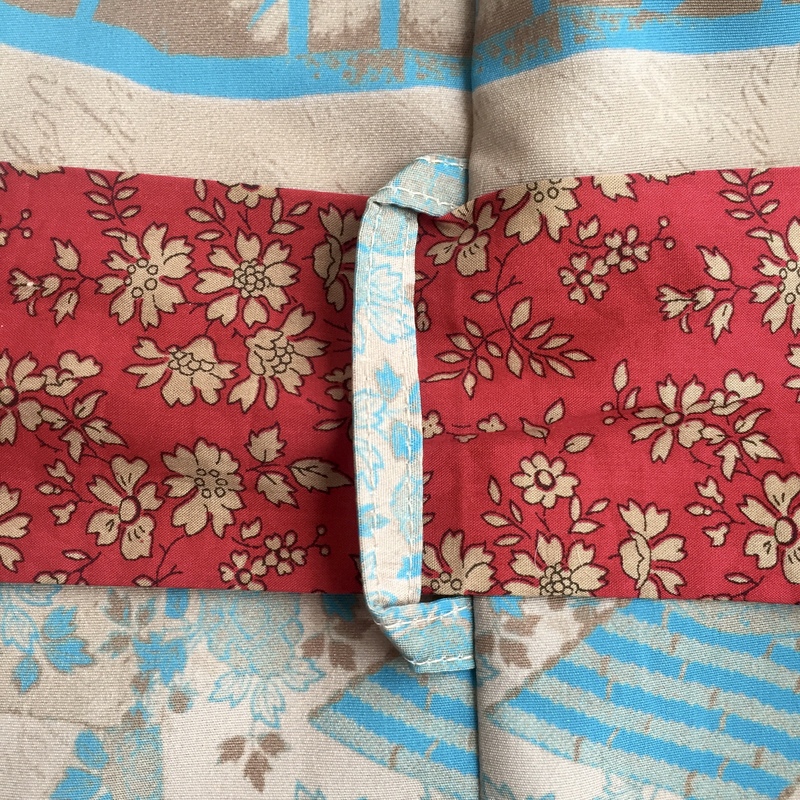 It’s the next piece of sleep-wear related clothing I’ve made recently so it is added to three pairs of pyjama bottoms… in flamingo print cotton, a kokeshi doll print knit and Liberty silk. 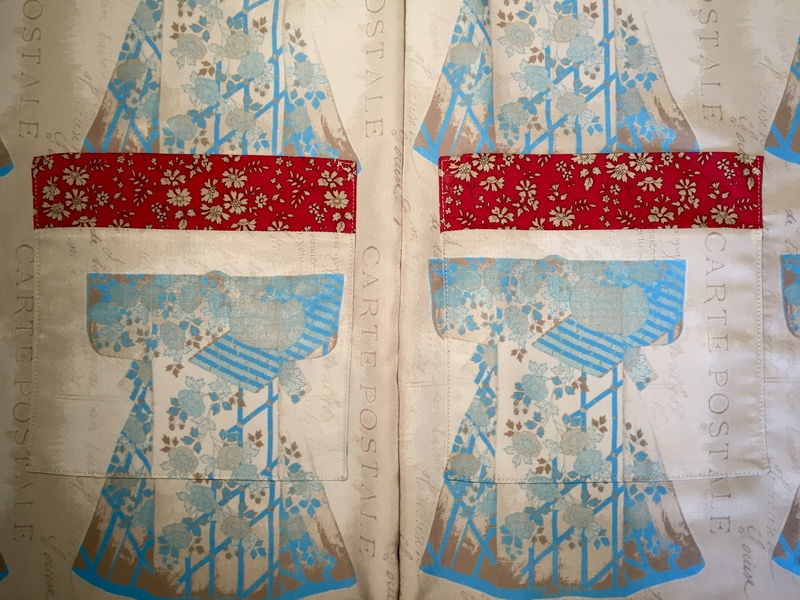 The fabric for the main body of the dressing gown is called Blue Kimono, it’s by finandivy. 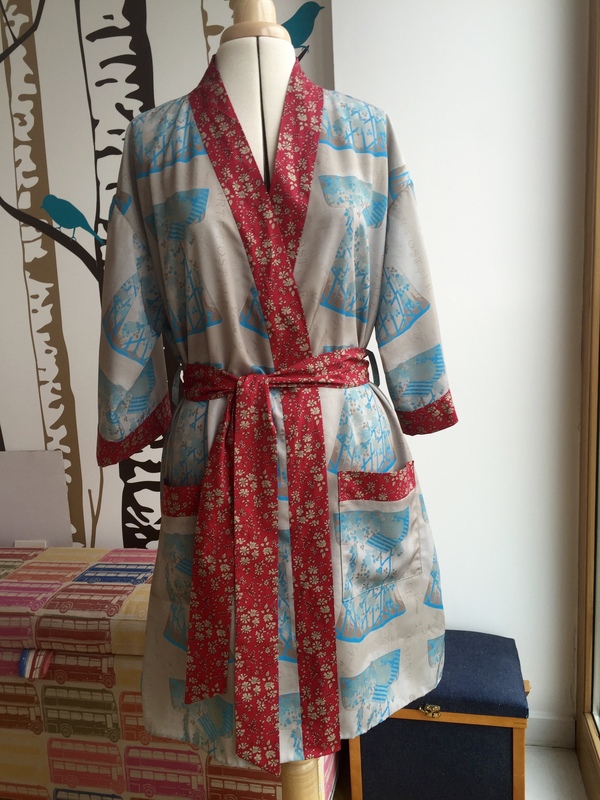 I bought it from Spoonflower quite a while ago with no particular purpose in mind- it’s a perfect dressing gown print. The fabric itself is their silky faille. I normally stay away from 100% polyester fabrics but this one does drape and flow beautifully and the colours are bright and vibrant. 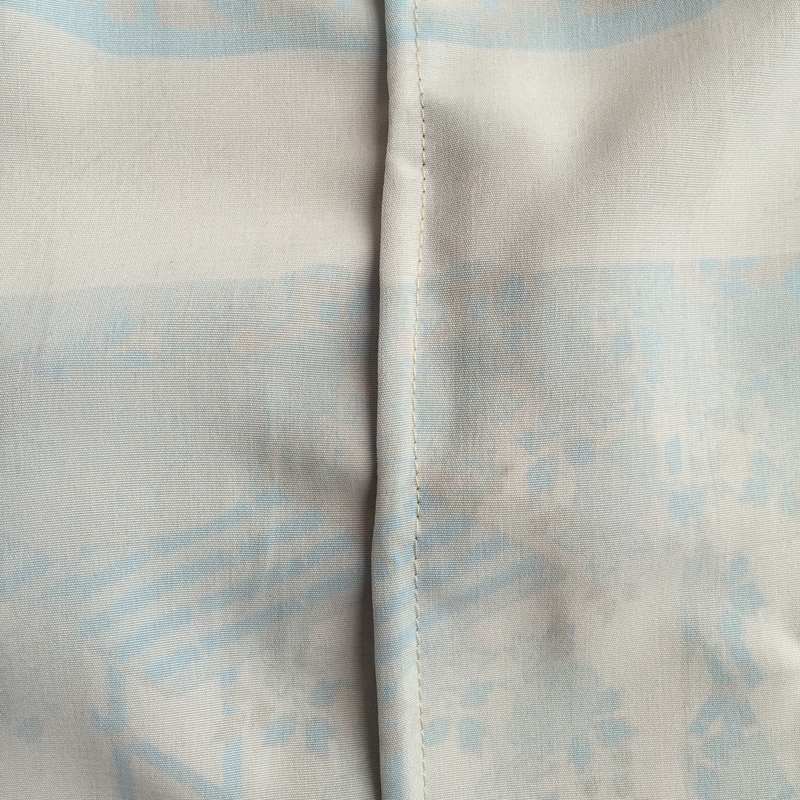 I found I had to work quite hard with the iron to get my seams to lie really crisp and flat. 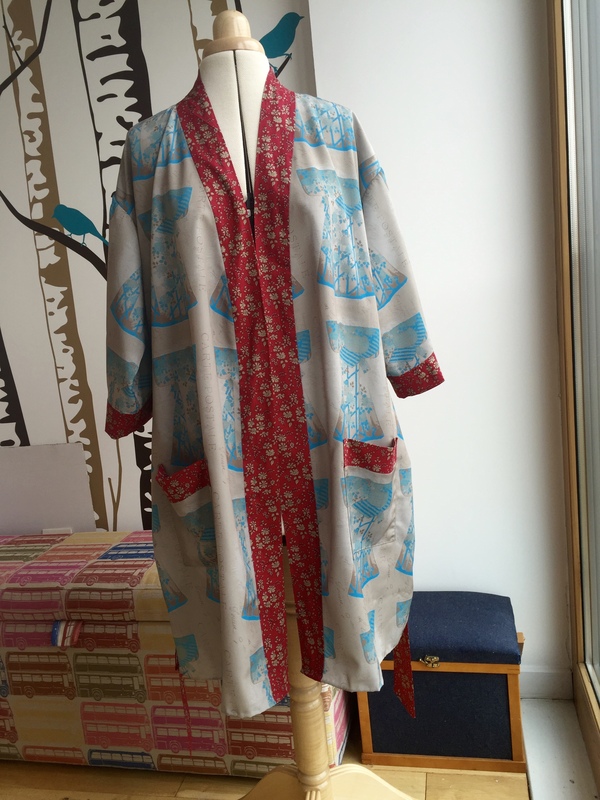 It looks lovely for a dressing gown, I don’t think I would use it for other garments though. 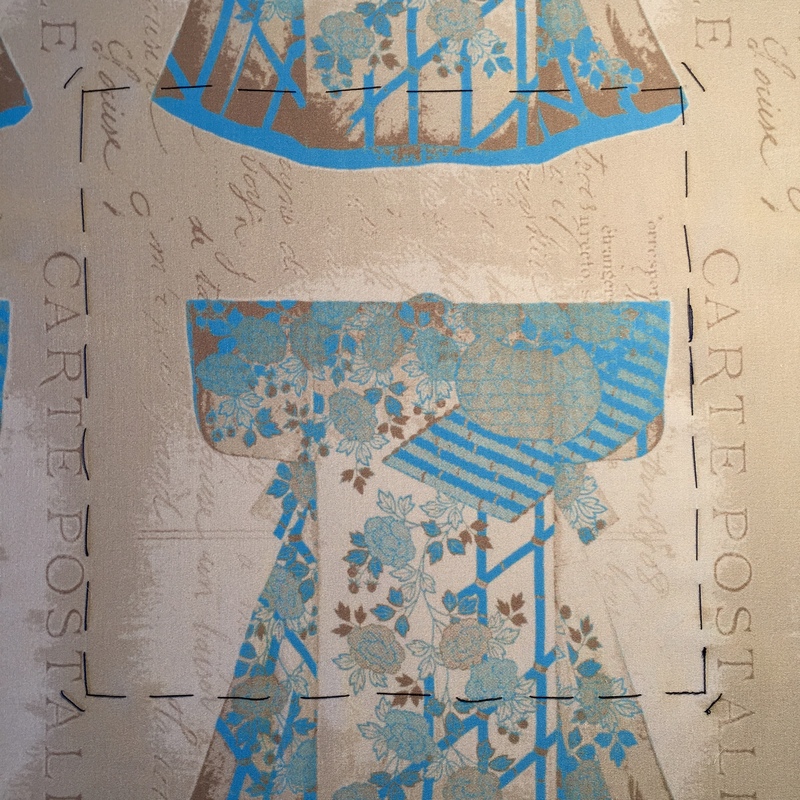 The contrast fabric is Liberty Tana Lawn in Capel F bought from Remnant Kings (who have some brilliant value Liberty available now)and stitched and pressed as beautifully as you expect with any of their fabrics. 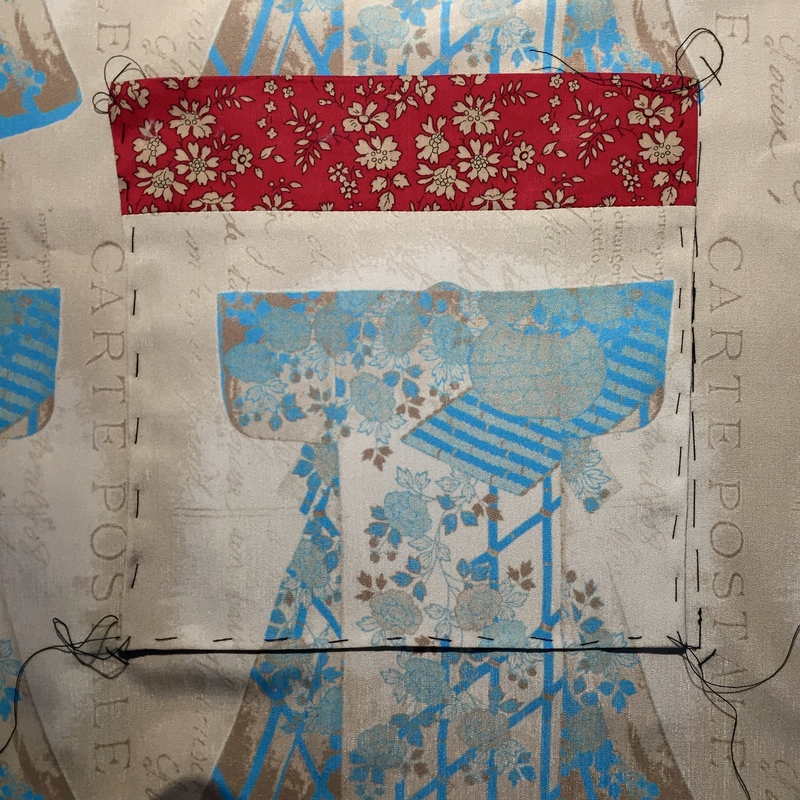 This is an easy make with really good instructions and diagrams in the pattern envelope (which is also lovely). 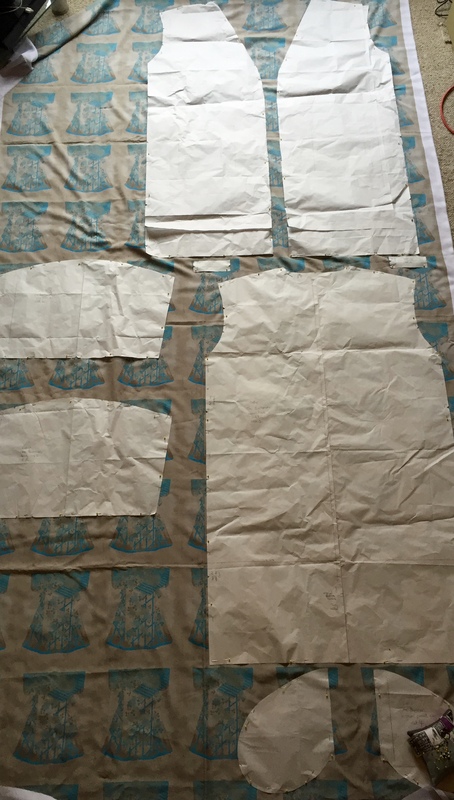 I traced a full set of pattern pieces which meant I used a lot less fabric than the instructions state is needed, even with the pattern placement for the main fabric.I did cut in-seam pocket pieces but didn’t use them- they’ll go into something else. The sizing is very generous (as a dressing gown should be). 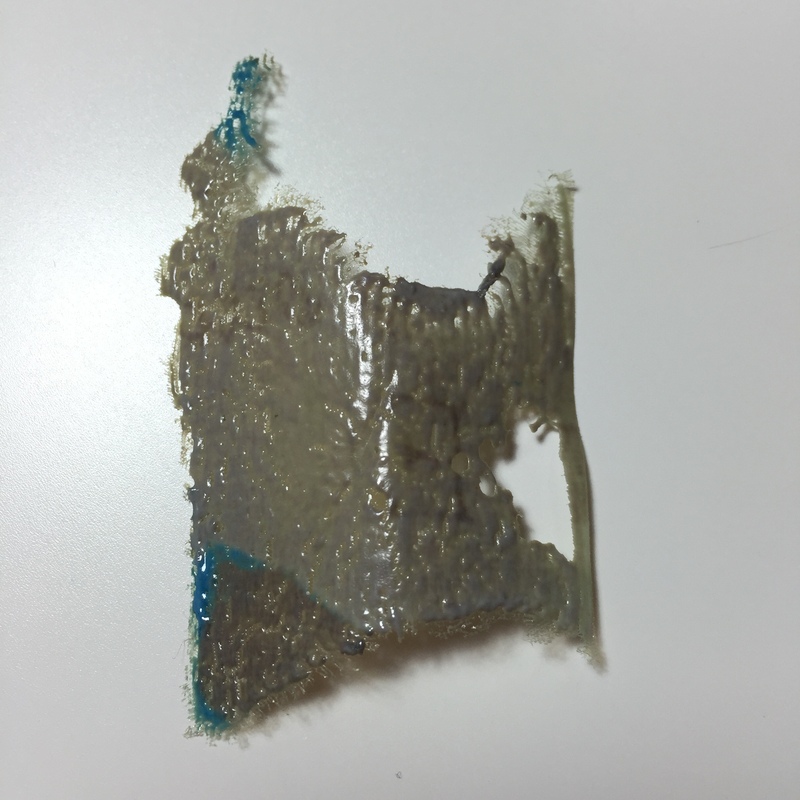 I was borderline between small and medium based on the measurements on the packet and opted to cut a small which is perfect for me. 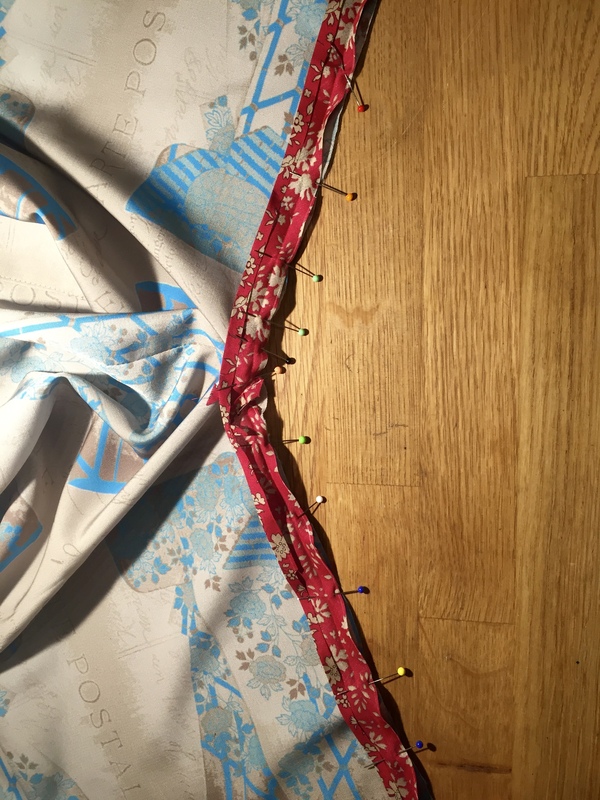 The only change I made was to add 15cm to the length when I cut it out to give me plenty of leeway to play with the length when I was hemming it. I opted to use the patch pockets rather than in-seam. Because the print is quite big the pockets had to be matched to the main body of the garment which took quite a bit longer but I’m really pleased with the end result. I thread traced the pocket placement on each side to make sure the pocket placement was level then cut the pocket pieces out. 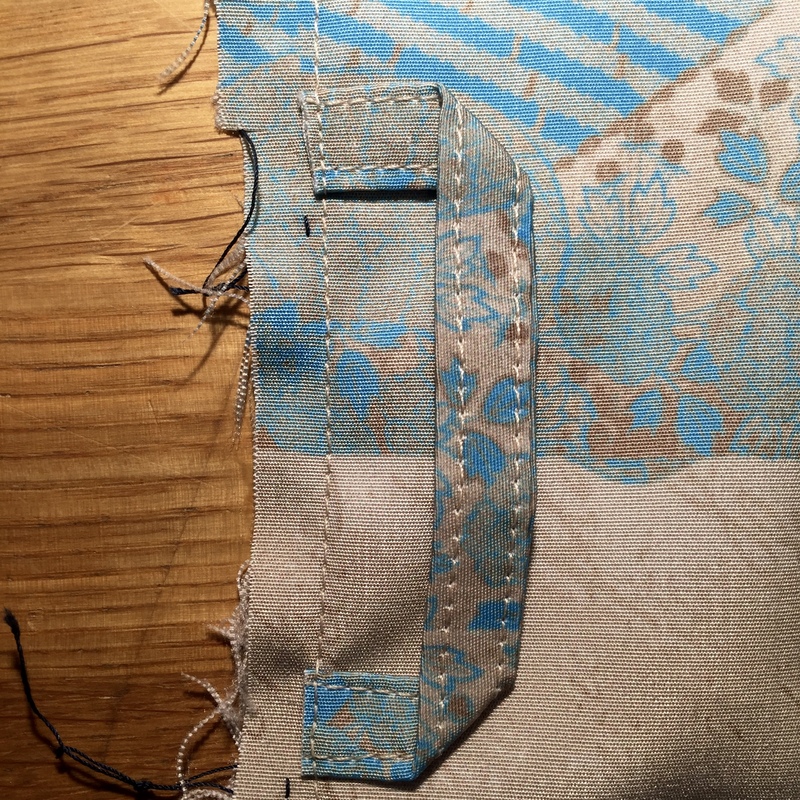 Then I hand-basted each pocket in place…. before finally topstitching them down- they’re as perfect as I could get them. 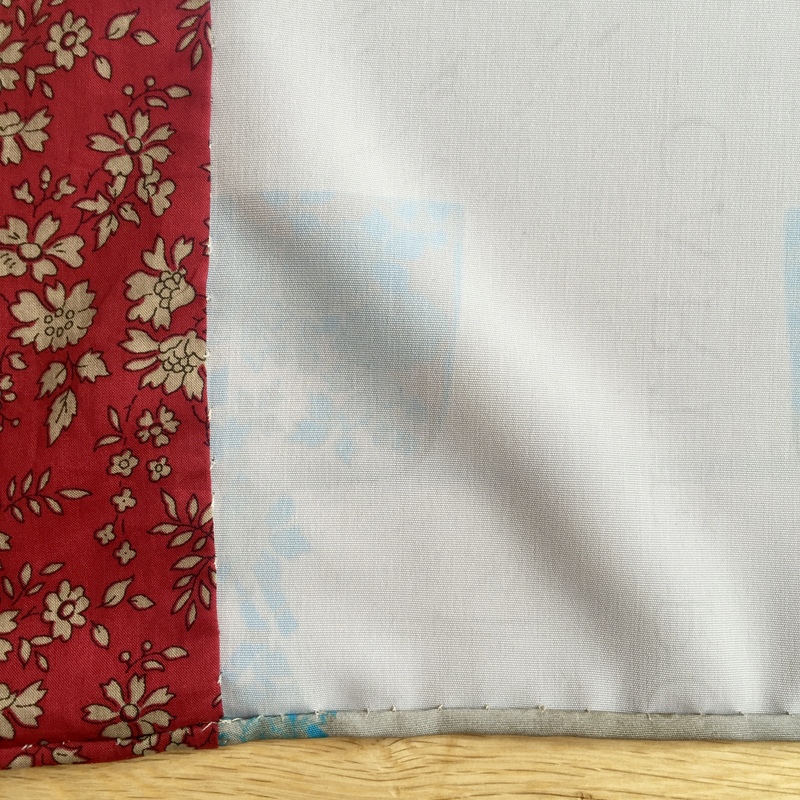 I used French seams for the shoulder and side seams. It was a great way to hide the ends of the belt loops on the inside. 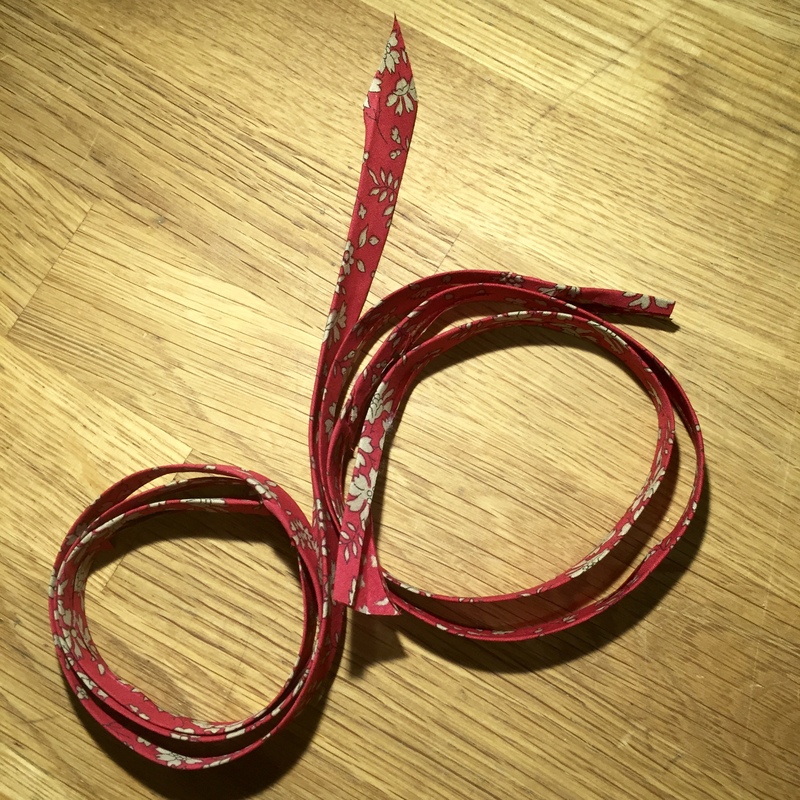 I just trimmed the ends back to about 1/8″ or as close to the stitching line as I could get to remove bulk when trimming the seam allowance down. 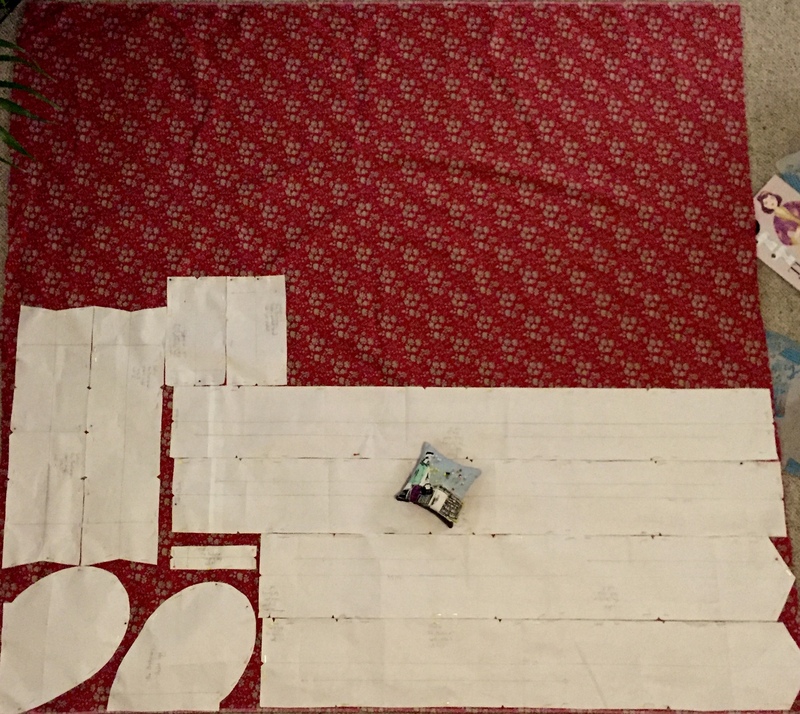 My bird and clamp (or 3rd hand) was a big help in cutting the seam allowance down evenly and neatly. 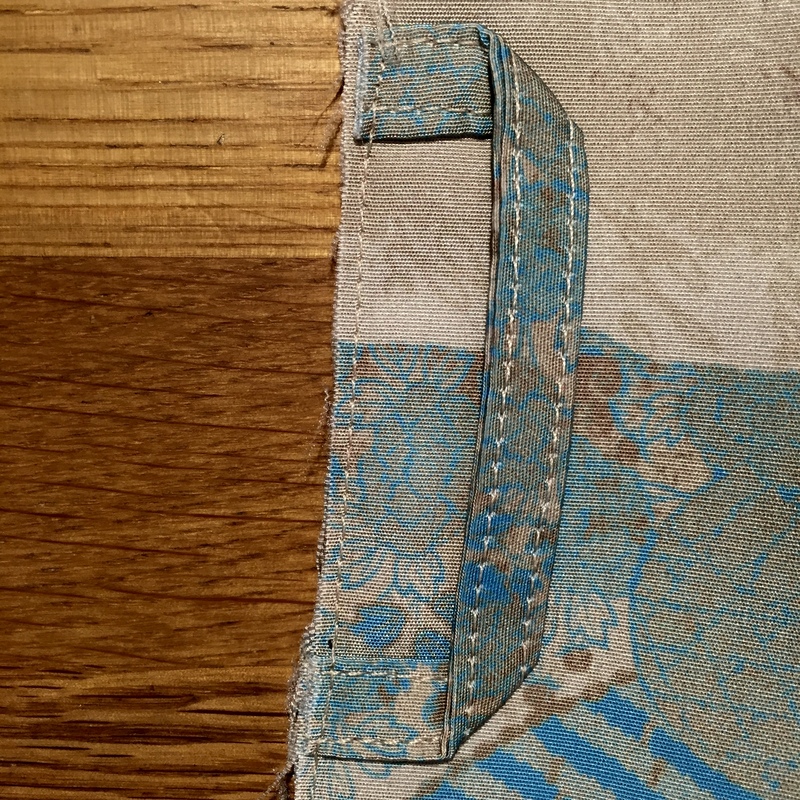 Then I did the second line of stitching so they are sewn over twice and really secure but the raw edges are caught inside the French seam. 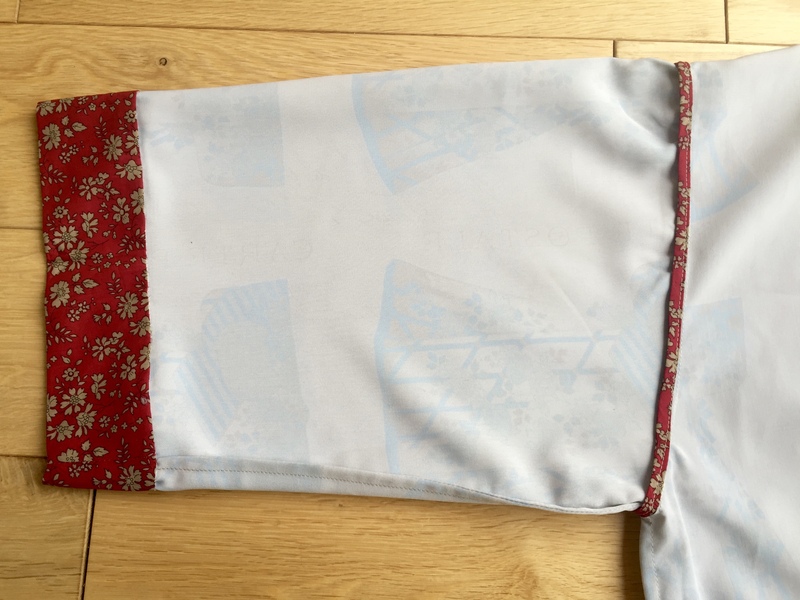 I slip-stitched the neckband and cuffs in place and didn’t bother with the topstitching because I really like the invisible finish it gives inside and out. I like the addition of a hanging loop too. For some reason I had some issues with setting in the sleeves. 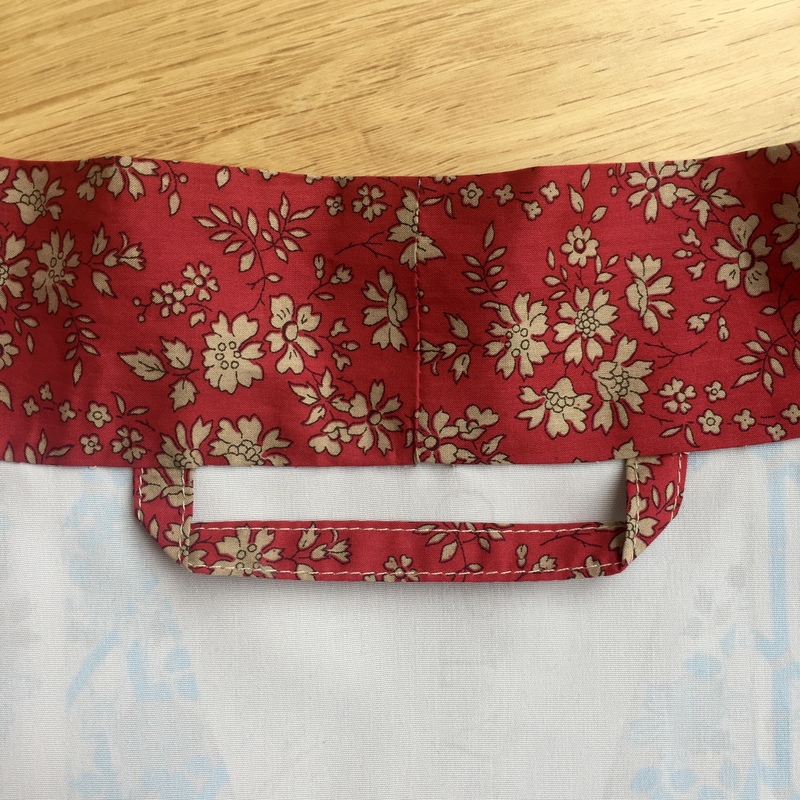 I used the usual 2 lines of ease stitching (although the pattern instructions don’t mention this) but it may just be that this fabric is not easy to gather and ease. 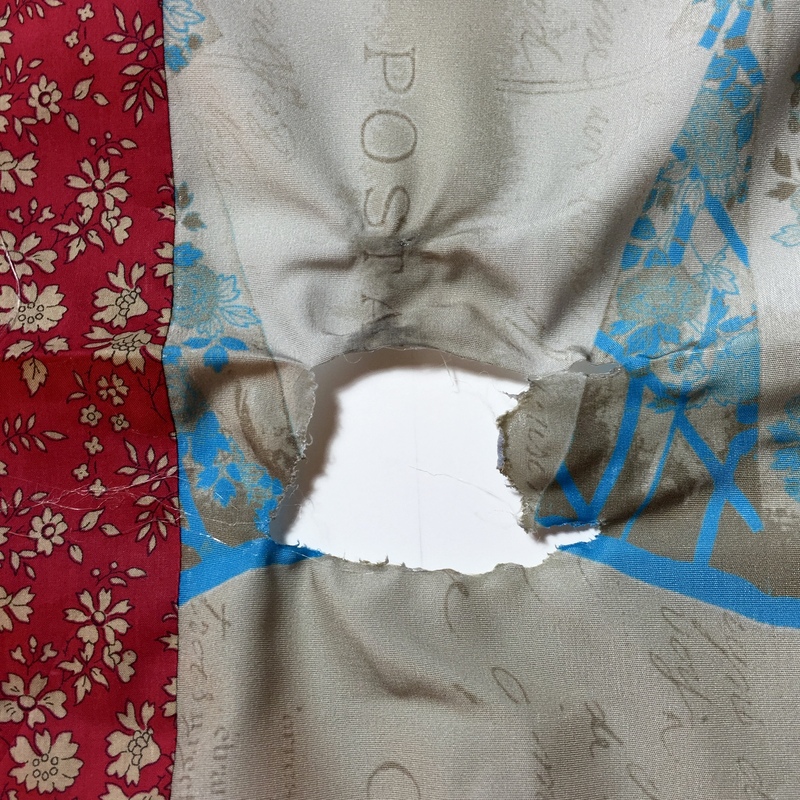 They are certainly not the best sleeves I’ve ever set in but at least they are pucker free which took quite a lot of ripping out and re-sewing to achieve. I made some binding from inch wide bias tape to finish the armscye and the side splits. Thank goodness for the extra 15cm added at the cutting stage. 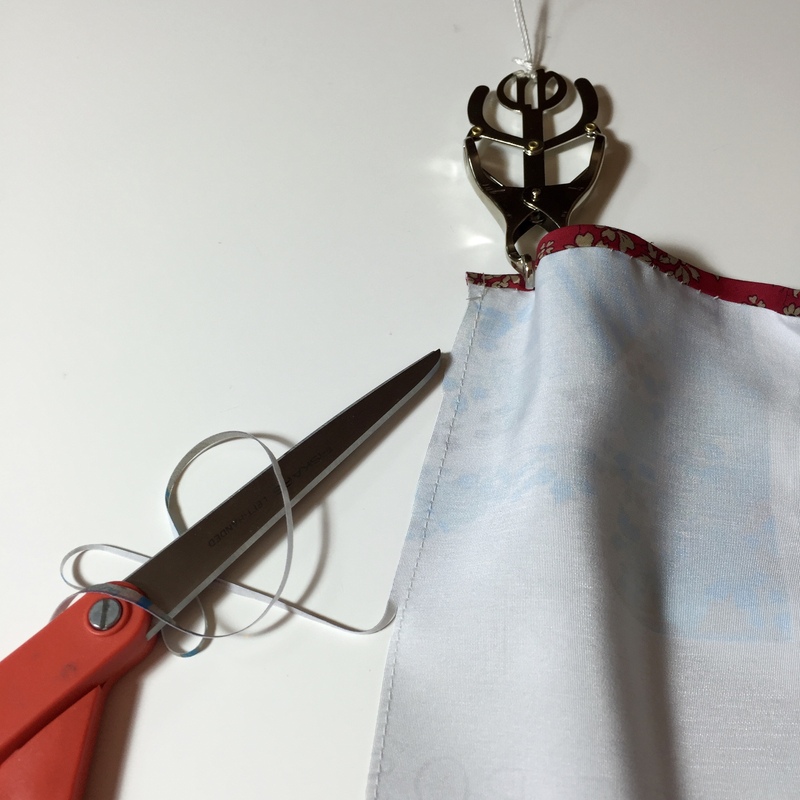 I was able to rescue it and cut off 9 of the 15cm I added then finish it with as small a hand-rolled hem as I could manage. Phew! I’m really happy with the end product though and the length is perfect too.